After naming their new bike the YZF-R3, most Yamaha fans were expecting something similar to their previous sports bike gems– the R6 or R1. However, this is NOT the case. Yamaha instead went in an all-new direction with the YZF-R3, building it specifically for the casual, beginner rider. Yes, you heard right. Yamaha has actually been eyeing that segment for the past five years and finally decided to jump in after noticing a recent spike in sales. But that’s all business crap… the real question is: how does this thing stack up? Well, pretty impressively it turns out. This beginner bike features a newly designed liquid-cooled twin 321 cc engine with a 6 gear transmission, in-line 2-cylinder DOHC and a closed loop fuel-injection. This setup provides an ideal blend of power and easy riding that can appeal to all types of riders. All in all, it’s definitely a worthwhile ride, especially considering the fact that it sells for a reasonable $4,990. This entry was posted in Culture, Motorcycle and tagged 2015 Yamaha YZF-R3. Bookmark the permalink. Hyundai Is Considering Producing Pickup Trucks… Should They , Though? 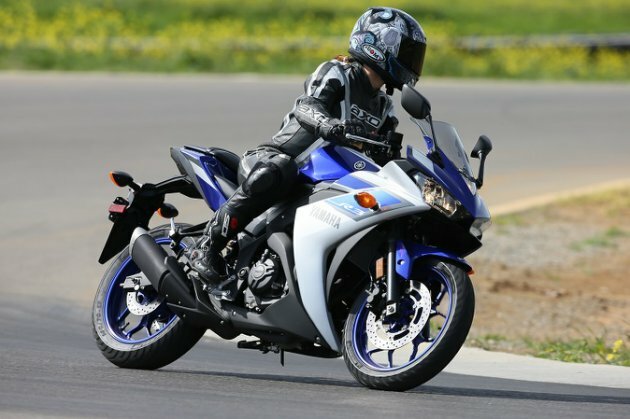 The new yamaha launch for beginner riders is one of the best bikes ever launched by yamaha. It is a classic pièce moto and is definitely one of the most affordable bikes ever! A good news indeed for the beginner bikers.